These cookies were first introduced to me 12 years ago when I was living in Baton Rouge and teaching at a private high school. An awesome young woman who was my student would make these cookies periodically and bring them to the teachers’ lounge for us to snack on. Drop by tablespoons onto a parhment lined cookie sheet. Bake 6-8 minutes. The cookies will be soft and will not look done when you take them out. The edges may have just a hint of brown. Do not overbake! 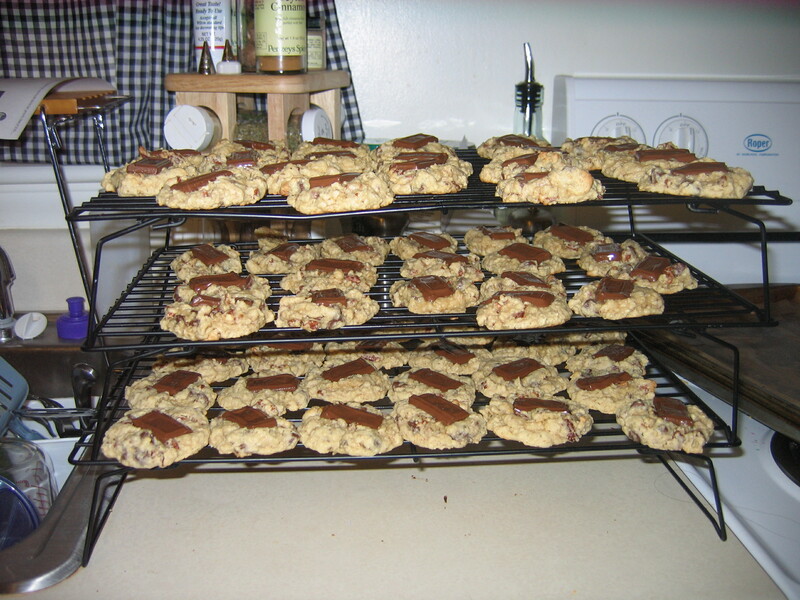 Before removing them from the pan, top each cookie with one section of a Hershey bar. After about 2 minutes, remove them from the pan and let cool. The chocoalte will remain gooey and soft for a long time.